People do not like to be kept waiting, so when it is necessary it makes sense to make them as comfortable as possible. By offering high quality hot and cold beverages and snacks, visitors can at least feel more comfortable and refreshed. NVCS can supply self-service drinks and snack machines to satisfy this need in public waiting areas and increase profits at the same time. As no two waiting rooms are quite the same, our vending offerings are flexible to suit different requirements. We listen and tailor our service to suit the clients needs. Highly popular areas for beverage equipment include car showrooms, MOT and tyre centres, hotel receptions, garages, train stations and any area that people are forced to wait. Many clients have reported more satisfied customers and extra revenue. Public facing premises offer great opportunities to supply coffee, hot beverages, food and snacks to passing pedestrians. NVCS have a developed a variety of solutions to tap into this growing marketplace. If you own a business premises with plenty of passing traffic then we offer many ways to tap into the lucrative snack and beverage market, meaning greater profits for you and many satisfied customers. 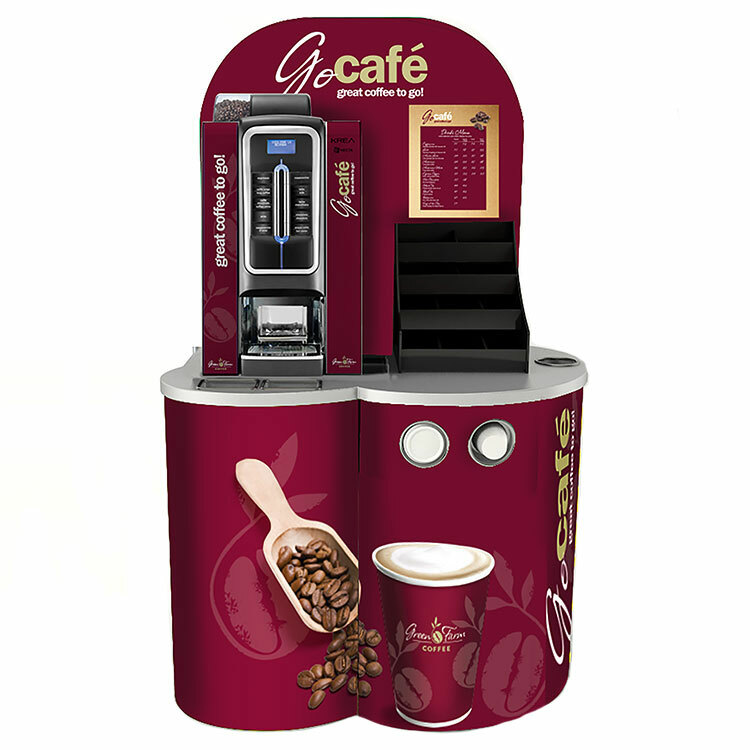 Our latest Coffee Station is the perfect solution for offering high quality beverages to passing members of the public. Our machines are consumer interactive, fast and easy use. Trust your NVCS representative to advise the best equipment and offering that suits your particular location.